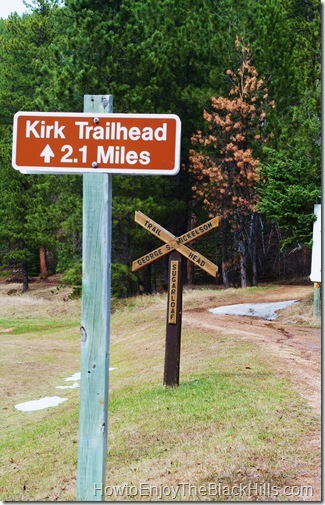 The Sugarloaf Trailhead of the Mickelson Trail is just off Highway 85 1 mile south of Lead. This is not part of the main trail, but a fantail loop. Heading to the the North will take you to the turn for the Lead Trailhead or you can continue on to the Kirk Trailhead. 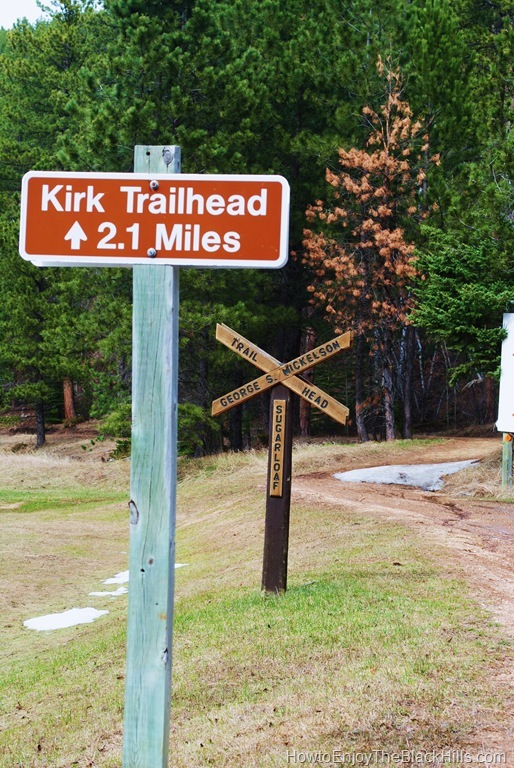 If you head south, you can go 4.8 miles to Englewood Trailhead or loop down to the Kirk Trailhead and back to Sugarloaf. The photo above was taken in early May and there is still snow on the ground. It is common for this portion of the trail to have snow in places until mid-May. Use of the Mickelson Trail does require a pass for all users over age 12. You can purchase the pass at the trailhead or online.